A gas turbine regenerator/recuperator is a heat exchanger that uses the gas turbine regenerative cycle to transfer heat from the exhaust gas of the turbine to the compressor discharge air. 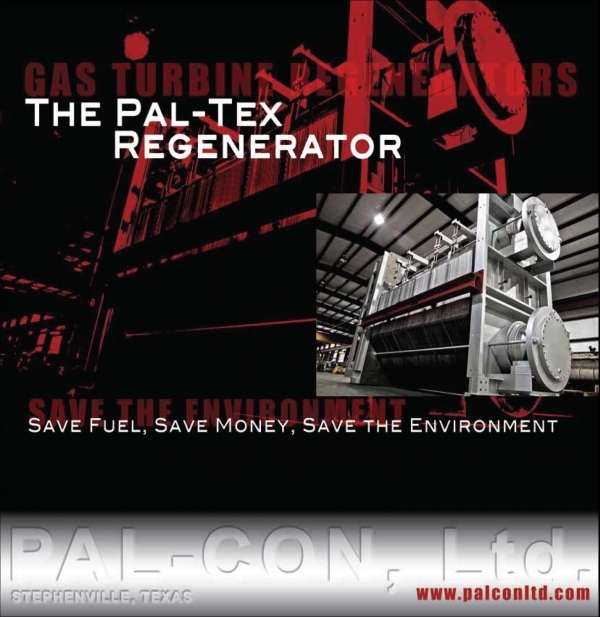 A need was seen for a more efficient and durable regenerator and in 2005 the Pal-Tex Regenerator was launched by Pal-Con, Ltd. to satisfy this demand. The Pal-Tex is the most efficient and durable regenerator ever built. A testament to the quality of the product design is the soul-sourcing of the Pal-Tex by many Pal-Con, Ltd. customers. Regenerators have traditionally been built using basic pulse tube construction. This can cause an inconsistent distribution of flow which elevates thermal stress levels and prematurely ages the unit. Pal-Con designed and patented a unique innovation which alleviates these concerns- the Pal-Tex. The inclusion of nickel alloy helps the Pal-Tex Regenerator endure unusually high operating temperatures – with the added benefit of protecting against oxidation. Due to the brazed cores being suspended within the regenerator to accommodate thermal growth, the Pal-Tex Regenerator boasts an expected life span of 25 to 30 years. The brazed cores are free to expand and contract in response to heat generated throughout the process; they are designed to withstand temperatures of up to 1,200 degrees Fahrenheit. In comparison, unsuspended cores are highly susceptible to cracking which can cause substantial financial loss as related to the following: equipment damage, product contamination, unanticipated down time, emergency repair costs, and more. Pressure drops in a gas turbine reduce engine performance because increased pumping power is required by the compressor to drive the flows through the resistances with the associated pressure drops. The Pal-Tex is designed to allow a combined maximum pressure drop of 3.5%. The core is the building block of the regenerator. 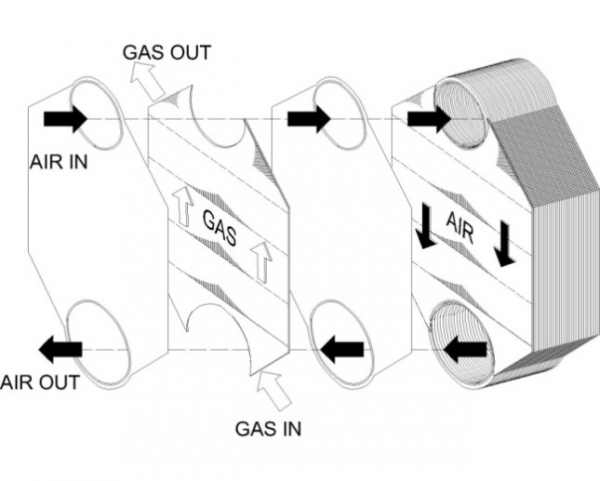 It compresses alternate layers of gas and air-side fins separated by formed tube plates. 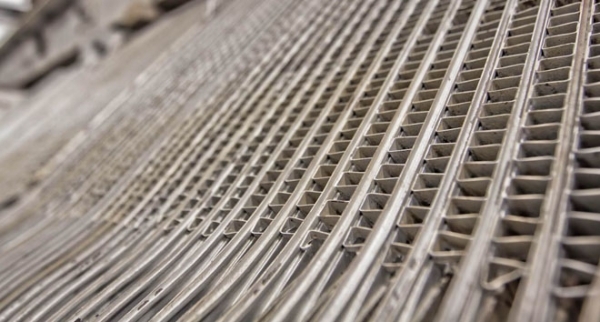 The fin and tube plates have the same thickness; this uniformity, coupled with expansion joints between the core and casing, controls thermal stresses and increase operational life. 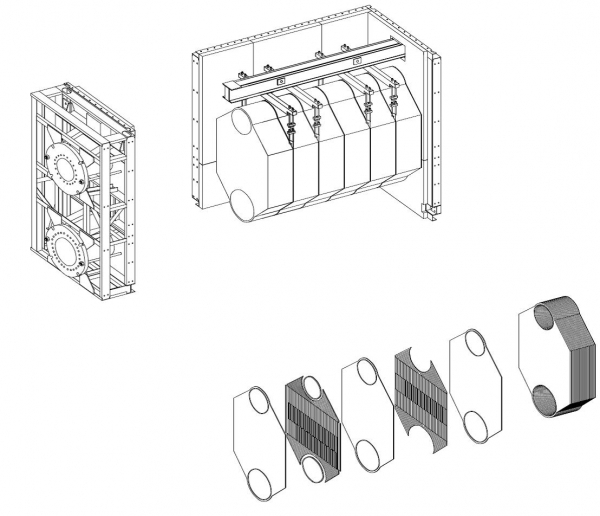 Thermal fatigue is inherent in conventional heat exchangers. This condition is caused by the difference in heating rates between bound materials within the heat exchanger. The PAL-TEX regenerator employs fins in the air passage to evenly distribute high-pressure air from the compressor. Since the air pressure is balanced, the core no longer needs to be rigidly attached to the casing. This allows expansion joints to be used between the cores and casing, which in turn allows the two parts to heat up independently. These joints eliminate most of the restraints that lead to thermal fatigue. Bellows expansion joints connect the air plenums of each unitized configuration to the air piping flanges, which are rigidly attached to the casing. The weight of the core assembly is transmitted to the casing by a flexible suspension system, this allows the cores to grow without restraint relative to the case during operation, thereby minimizing thermal fatigue. The Pal-Tex uses aerospace technology to control thermal stresses and produce a more efficient regenerator. The Pal-Tex uses brazed cores to achieve a high amount of surface area, this surface area allows for maximum heat transfer from the turbine exhaust gases and to the turbine compressor discharge air, while minimizing pressure drop. The product also uses a floating core design, allowing the control of thermal stresses caused by operating in a high temperature environment. An assembly of core sections make up one module of the regenerator. 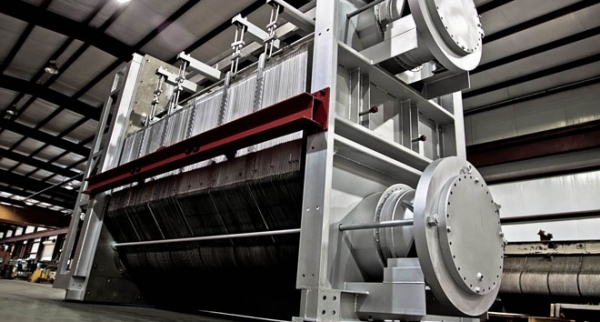 The number of core sections and modules can be easily adjusted to accommodate any size turbine. This allows for numerous configurations capable of working with even the most challenging sites. This also makes for easy transportation by air, rail, ship, or truck to the most difficult locations. 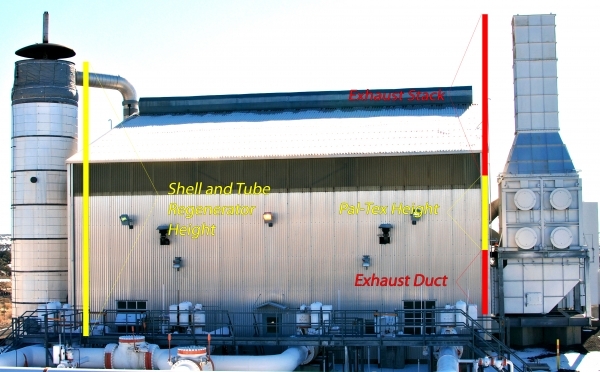 The below picture illustrates the difference in size between the Pal-Tex and an older shell and tube regenerator. Even though the Pal-Tex regenerator is much smaller than older shell and tube types, it has more surface area for heat transfer resulting in higher effectiveness. In many open layouts, the entire Pal-Tex system will be less than half the size of older shell and tube models.